In January this year dance artist Wendy Morrow undertook a 3 day residency involving solo practice and investigations, collaborations and an 'opening' performance talk. A body residing was proposed as two short residencies where Wendy would explore the Sawtooth ARI gallery spaces through movement and various responses from others including sound, text and video. The Sawtooth building's history as a merchant for skin and fur became a focus for Wendy's responses to the summer and winter residencies. A body residing - Winter will explore fur, cycles and darkness. Please note: Sawtooth ARI will be closed 25 - 28 June 2014 for this AIR program unless by appointment. 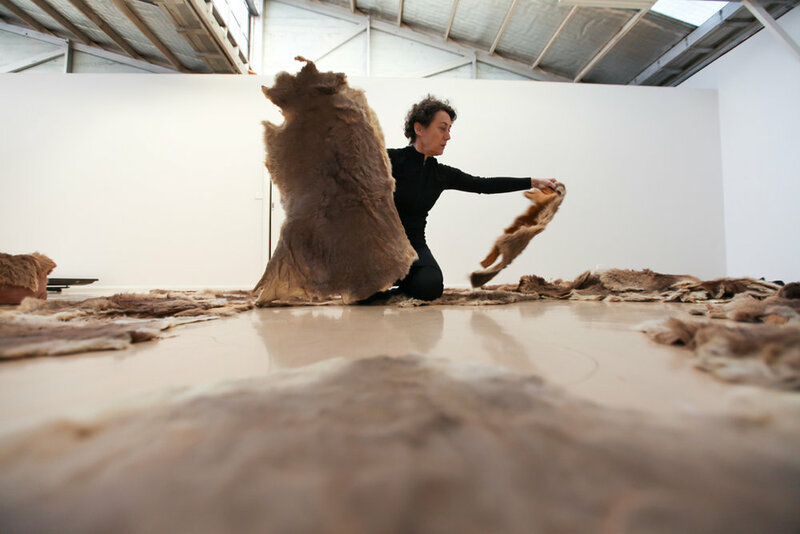 Sawtooth ARI will be open Sunday 29 June, 4.30pm for the opening talk and performance by Wendy Morrow and will return to our usual opening hours for the July 2014 program. Thank you for your understanding.